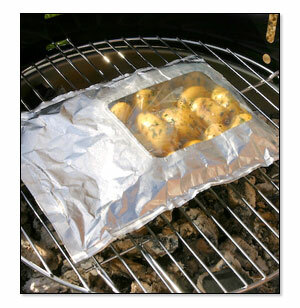 Whether you are cooking at home for yourself, your family, entertaining guests, having a BBQ party or planning a camping trip, Qbag is the magic ingredient for cooking convenience, whatever the weather. Cook a variety of foods as a side or main dish, either on their own or all mixed in the bag together. Meat and vegetarian dishes can be cooked side-by-side in the oven or on the BBQ with no risk of cross-contamination.